This is the company I used for my 73. They did a great job. Not sure if they have the green you want. I have the Front Retrofit Retractable Lap Seat Belt With Shoulder Harness Kits With 8" Optional Door Post Extension(DPE). I have not installed them yet. They do look and feel really nice. I got these for the 8 inch DPE. Since you are wanting to do Concourse I would ask them if the same pattern is woven into the belts. I have never seen a repo with the same pattern as originals. Depends on how picky you want to be. Most will never know what is right or wrong. 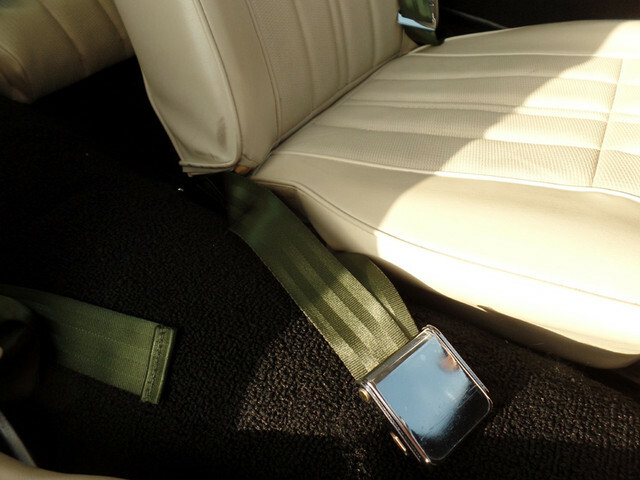 Here a photo mine that I had done for the back seat of my convertible. I think they are pretty close to the original. They will sew on the correct date code for more money. (03-27-2019, 09:24 PM)John J Wrote: Here a photo mine that I had done for the back seat of my convertible. I think they are pretty close to the original. They will sew on the correct date code for more money. John i emailed them and they said they could do green for me. 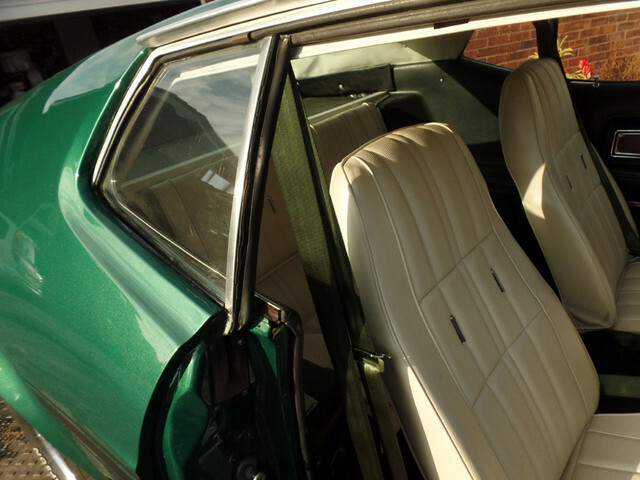 They also asked if i had standard interior and when i said deluxe interior i heard nothing back from them. I thought those release buttons were on 1970-71 and round plastic on 72-73? How wide are your belts? I will look for green webbing in the UK and get them done in the UK.